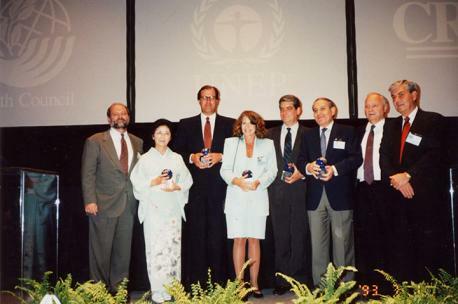 OISCA International was established by former President Dr. Yonosuke Nakano in Japan. 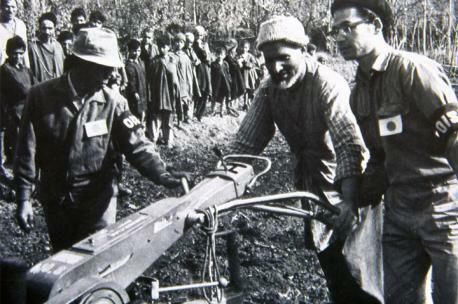 OISCA dispatched Japanese experts for agricultural development in East Pakistan, now Bangladesh, and the Philippines after the to help mitigate the emergency food crises. 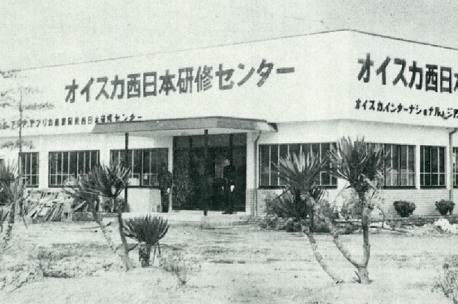 The OISCA Training Centers were established in Japan to cater the agricultural trainees from the developing countries. 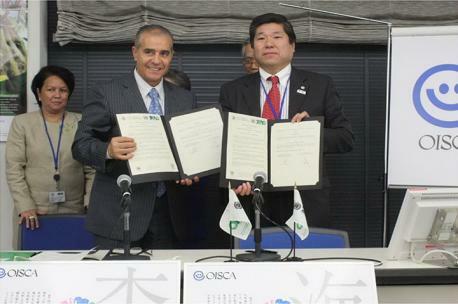 The OISCA Industrial Development Body (OISCA Japan) was registered with the Japanese government as a Non-Profit Foundation. Ms. Yoshiko Nakano succeeded the Presidency of OISCA from the founding president, Dr. Yonosuke Nakano. The first Asia Pacific Youth Forum for Community Development was organized in Thailand to emphasize the roles of the youth in the development of their own communities. 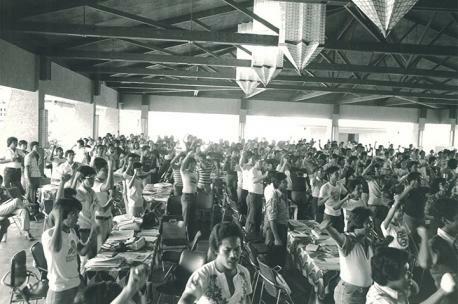 OISCA Agricultural Training Centers in Thailand, Malaysia and the Philippines were established to promote the empowerment of the youth. 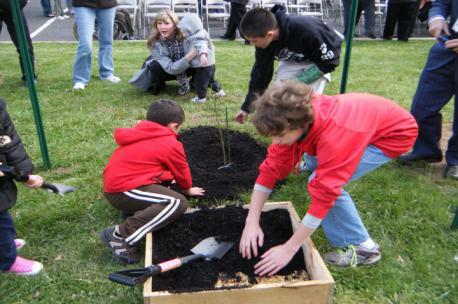 Triggered by the poor agricultural production and lack of awareness of the interrelationship of the forest and agriculture, OISCA launched the International Love Green Campaign to rejuvenate the denuded and degraded forests. Commemoration of the 25th Anniversary of OISCA in the World NGO symposium in Tokyo, supported by the Japan Government, Asian Development Bank and the World Bank. 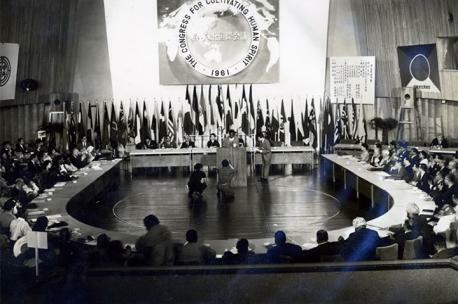 Its Tokyo Declaration advocated a Tripartite Arrangement among governments, intergovernmental agencies and NGOs in international cooperation. 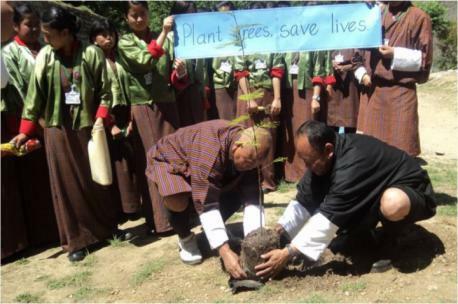 OISCA started dispatching Japanese volunteers to Asian countries to participate in planting trees in the mountain and coastal areas. 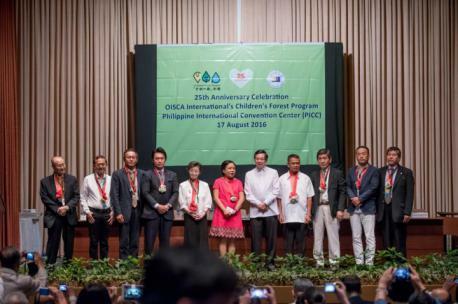 On the same day, OISCA officially launched the Children’s Forest Program. OISCA was granted the Category I (General Consultative Status) by the United Nations Economic and Social Council (UN-ECOSOC). OISCA inked a memorandum of understanding with the Government Union of Myanmar to launch a capacity building in the country for sustainable rural development. 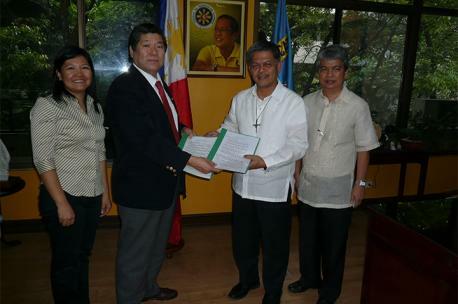 A Memorandum of Understanding (MoU) was signed between JICA/NGO Partnership Project and OISCA Technical Trainee Alumni Association (OTTAA) for the implementation of the Sericulture Project in Negros, Philippines. OISCA-International and Asia Development Bank signed two contracts to improve the quality of life of the victims of tsunami in Aceh, Indonesia. Signing of Memorandum of Understanding between OISCA-International and United Nations Secretariat of the Convention on Biological Diversity. The Training Center for Technical Instructions of Effective Microorganism (EM) was established by OISCA Uruguay. OISCA Japan obtained the new legal status as Public Benefit Corporation (PBC). 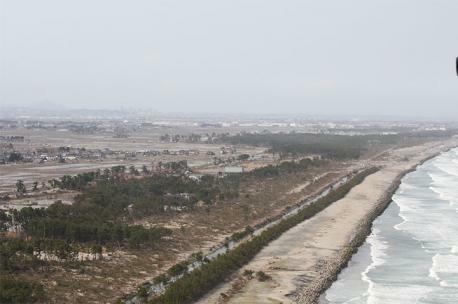 Aerial survey conducted to know the extent of the damage along the coastal areas of the Tohoku Region from the March 11 disaster and the discussion among the victims, local government, and forest experts on the role of OISCA to the recovery of the damaged coastal vegetation. Safety and Environmental Awareness Workshop among the staff of OISCA Fiji for the improvement of the Coral Reef Restoration Project in the Coral Coast Area and Ra Province in Viti Levu Island, Fuji. 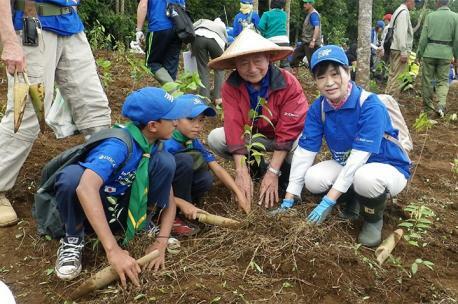 International Year of the Forest celebrated during the 5th Annual Tree Planting on Mount Fuji. 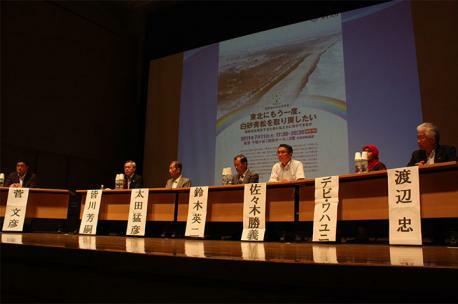 A symposium organized in Tokyo to officially announce the implementation of the 100-Hectare Coastal Restoration Project damaged by the tsunami in the Miyagi Prefecture. 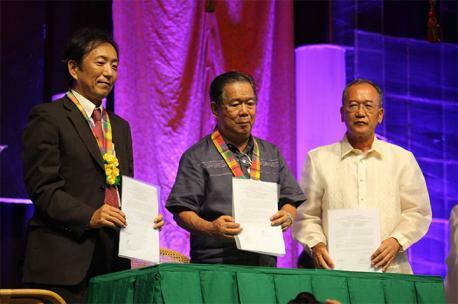 Signed Memorandum of Agreement (MoA) for the three-year Negros Silk Industry Support Project during the celebration of the OISCA 50th Anniversary attended by 10,000 people in the Philippines. 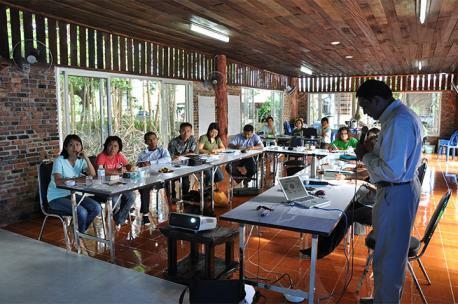 Chief Coordinator’s Training held in Surin, Thailand for the further improvement of the Children’s Forest Program. OISCA-International celebrated its 50th Anniversary in Tokyo. The event was graced by the Emperor and Empress of Japan, Prime Minister Yoshihiko Noda and 850 supporters, members, and well-wishers. 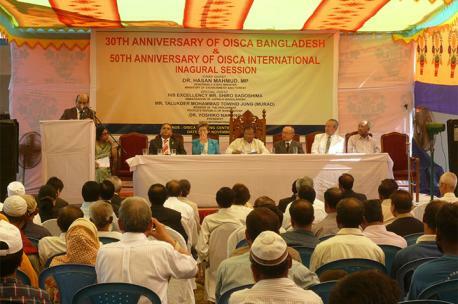 OISCA Bangladesh Training Center celebrated its 30th Anniversary graced by the Ambassador of Japan and other well wishers. OISCA’s Secretary-General Yasuaki Nagaishi joined Mr. Ahmed Djoghlaf, Executive Secretary of CBD on the Live and Interactive Web TV Program in Tokyo to promote biodiversity. 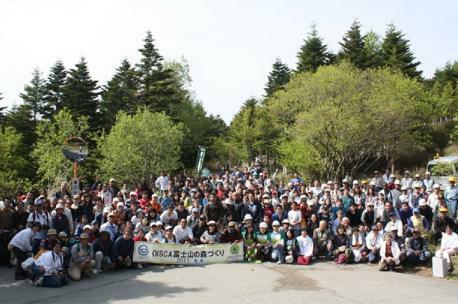 OISCA collaborated with Mitsubishi Corp. to maintain the biodiversity of Mt. 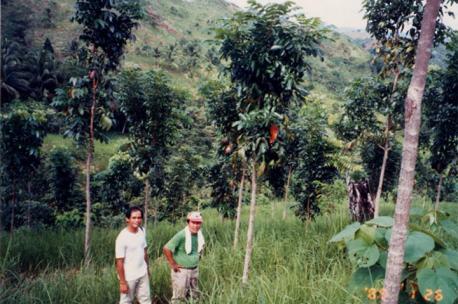 Gede Pangrango National Park in West Java, Indonesia through the Miyawaki Method or the intensive planting of native species of trees. 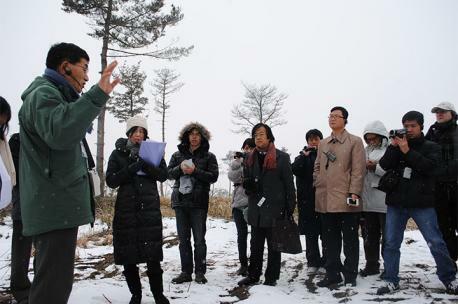 OISCA collaborated with Foreign Press Center of Japan to facilitate international media groups for the further promotion of OISCA’s Coastal Restoration Project in Natori City, Miyagi Prefecture. OISCA signed the Memorandum of Agreement with the Philippine National Government for the promotion of CFP in the Philippines. Launching of the first CFP school in USA. 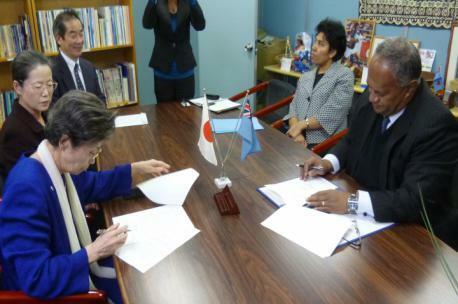 Renewal of the Memorandum of Understanding between OISCA International and Fiji`s Ministry of Youth and Sports. 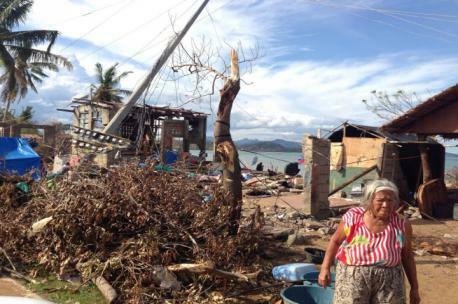 OISCA Headquarters announced the need to raise funds to be able to reach out to the victims of Typhoon Yolanda in the Philippines. 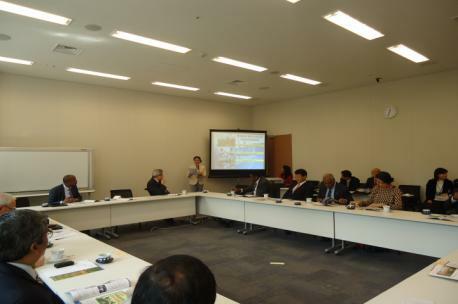 OISCA organized the 40th Tokyo Forum attended by foreign dignitaries and Japanese government officials. Introduction of the first CFP school in Bhutan. Participation to the Third UN World Conference on Disaster Risk Reduction (WCDRR) in Sendai City, Miyagi Prefecture, Japan. Organizing of the 17th Asia Pacific Youth Forum for Community Development in Calicut, Kerala, India with 300 representatives from 8 different countries. 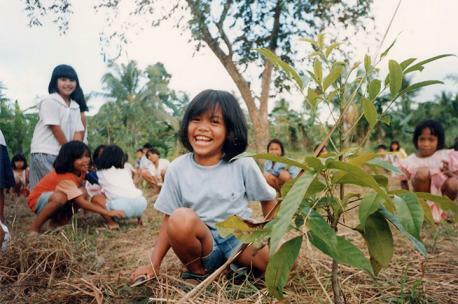 25th Anniversary celebration of the Children`s Forest Program in Manila, Philippines. 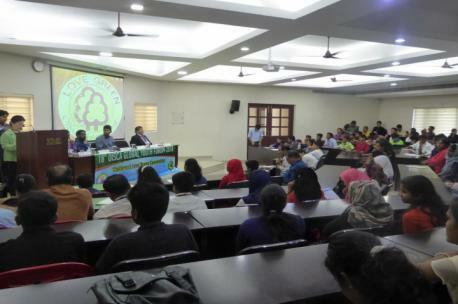 Organized OISCA Global Youth Forum in Kochi, India on February 9-11, 2018. It served as a platform for the youth to explore the issues faced by their generation and identify their respective roles to realize SDGs.